Love FreakSonar‘s Beats and wanna book a studio session? Cool! make your music in our studio!.. We are looking forward to working with you too. THE “STUDIO TIME” is for set up, test takes, beat making, recording, listening back, overdubbing, punching certain moments in the recording, editing, creating rough mix(es), preparing audio files that you may need MP3, WAV format, burning an audio CD for you to take to listen, copying files to your external device either a flash drive and/or external hard-drive with enough gigabytes to copy the audio and/or video files you recorded/edited/mixed and/or mastered. A 50% deposit is required within 48 hours after available time is originally requested via phone, email and/or booking form to confirm session on the schedule. 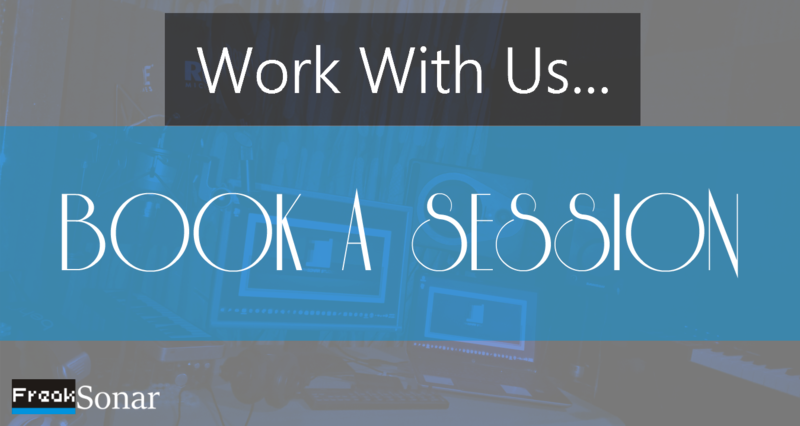 Note : If you choose not to make an advance deposit or full payment to confirm your session, within 24 hours after available time is requested via phone, email and/or booking page, the studio time may become available to someone one else. If you need more time before confirming with payment, please contact us again as soon as possible to find out if the studio time is still available. Clients are allowed to change the date and time of their booking once per payment. If you wish to change the date / time of your booking please provide FreakSonar with 24/48 hours notice via phone or e-mail. Bookings can not be rescheduled if LESS than 24 hours notice has been provided. This will result in your full payment being forfeited and future bookings will have to be re-booked with a new payment. Stem mixes can be provided to the client – minimum charge ₦5,000. CASH : To be handed in person to The Sound Engineer. Your email address will be requested for your cash transaction receipt. Please call before passing by the studio to check if we are available to receive payment. CREDIT/DEBIT CARD : We accept all credit or debit cards serviced by Visa, Mastercard or Verve (POS). Your email address will be requested for your card transaction receipt. BANK TRANSFER / WIRE : Call or email us to give you the Studio’s bank account to pay into. Your email address will be requested for your card transaction receipt. Please make payment for a session ONLY after having first arranged a date and a time with us. Payments DO NOT cover post-session storage of data, media, equipment or other materials (We do so by choice). Thank You For Patronizing Us! Here’s to Making Good Music!